Sandwiches are freshly prepared on the grill. When it comes to sandwiches, forget Subway, Jimmy Johns and Potbelly’s; Grand Junction leaves them in the dust. 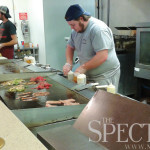 Located just north of campus at 19th Avenue and University Drive, Grand Junction is the place for fresh subs cooked on the grill. 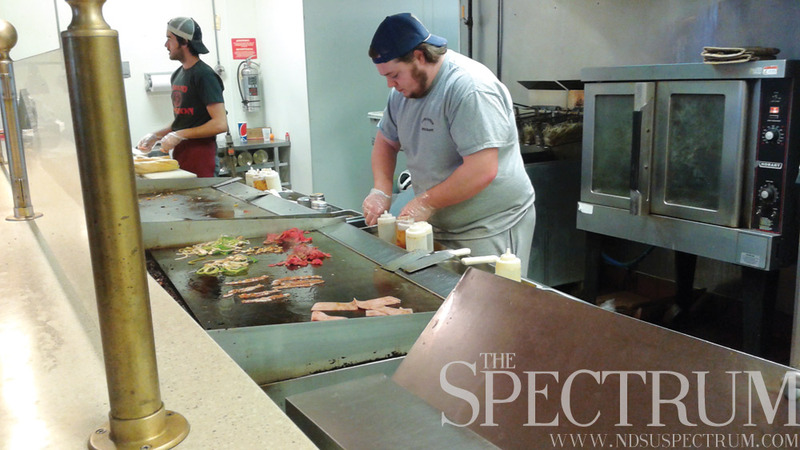 Each sandwich from their wide selection is cooked fresh in front of you, making the wait a little more fun. One of Grand Junction’s signatures is the hand-cut fries that are also cooked right as you order and then seasoned. 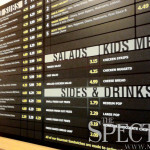 The combos are comparable to any other sandwich shop in price. 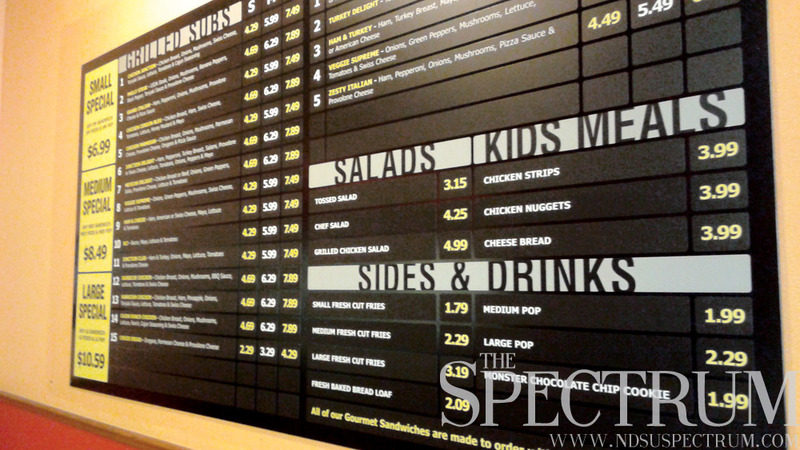 At Grand Junction, the price of subs range from $4.29 to $7.89 depending on which sandwich and size you order. The sizes are the typical small, medium and large. Making your sandwich into a combo is well worth the extra $2.50. Grand Junction’s natural thick-cut fries with seasoned salt are in a league of their own. This is where Grand Junction won me over. I walked in pretty hungry and was ready to dig in. I ordered a medium Philly cheese steak combo. I asked to add some jalepenos, no problem. What I got was a sandwich about 10 inches in length and a basket full of fries. I was stuffed. I couldn’t even finish the all of the fries. That is something not common for me, so I was greatly impressed to think I probably could have been perfectly content ordering a small. Not many places offer the portion sizes of Grand Junction for such a reasonable price. When it comes to taste, there is no competitor. 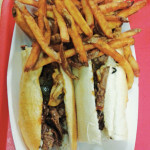 The Philly steak and cheese sandwich I had was cooked just right. 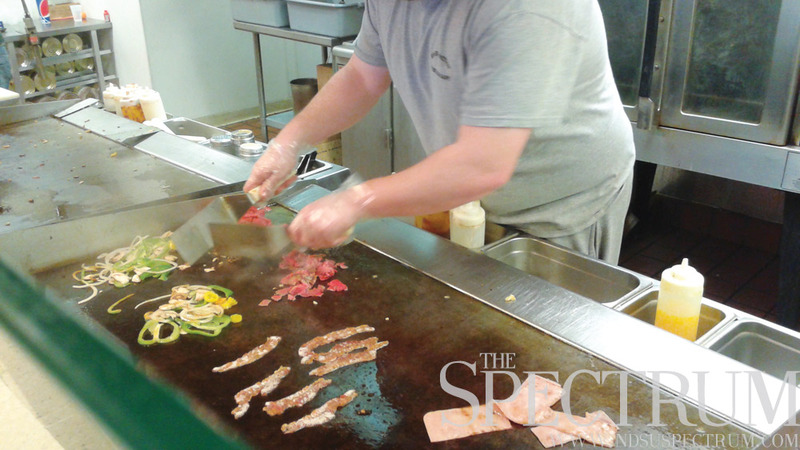 A special trait of Grand Junction is the homemade teriyaki sauce, which is put on most of the sandwiches. 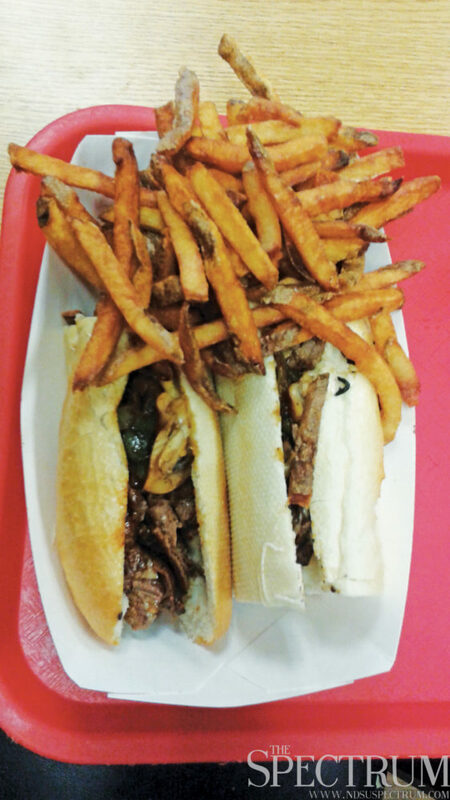 It was loaded with onions, peppers and mushrooms – delicious. On a different note, my friend ordered the chicken cordon bleu. It was much simpler with only mayo, honey mustard and lettuce. Seemingly boring, but man, was I wrong. The flavor of the honey mustard was extraordinary. I was greatly impressed. All in all, Grand Junction has a unique selection that is sure to have something for everybody. It can be a bit greasy, so be prepared, but it is delicious. If that is not your thing, they also offer cold subs and salads. Considering things like price, portion and taste, Grand Junction is easily a 5/5. I recommend it to any one looking to have a good meal with some friends and still have change leftover.